Our Blue Front Door: How to organize Christmas cards? 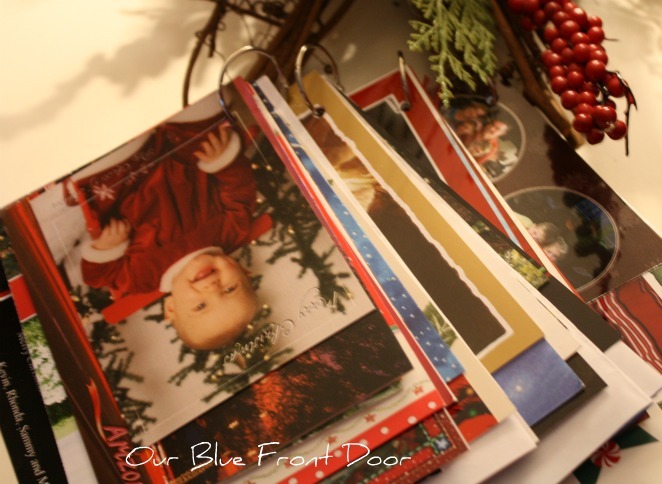 How to organize Christmas cards? and today I am copping it without any guilt at all. an answer to prayers and feel so blessed to have found a great job. now and it's called time management! I love blogging too much to give it up. It will continue to be my hobby. Your not getting rid of me that easy. 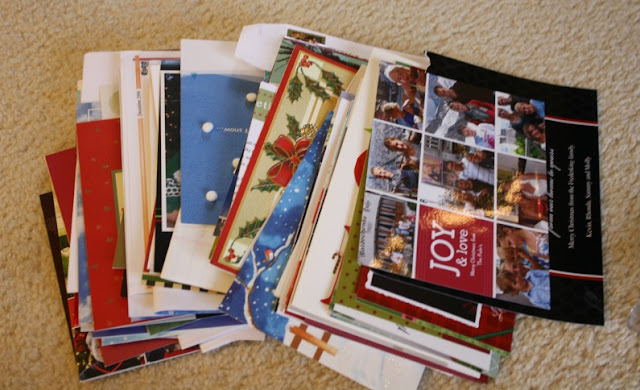 What to do with all of the left over Christmas cards, pictures, and letters anyway? 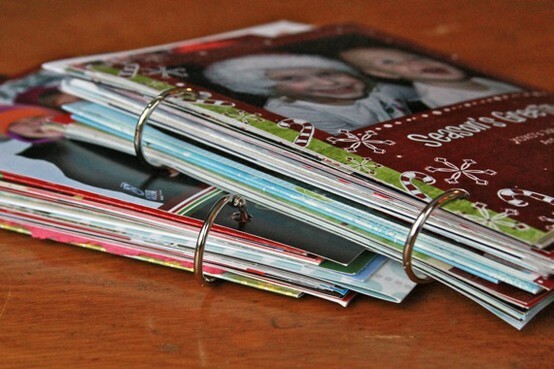 If you are like me, I don't like to throw them away because I like to hoard things. My pile has grown quite big over the years. I also tried to keep them in the same year. 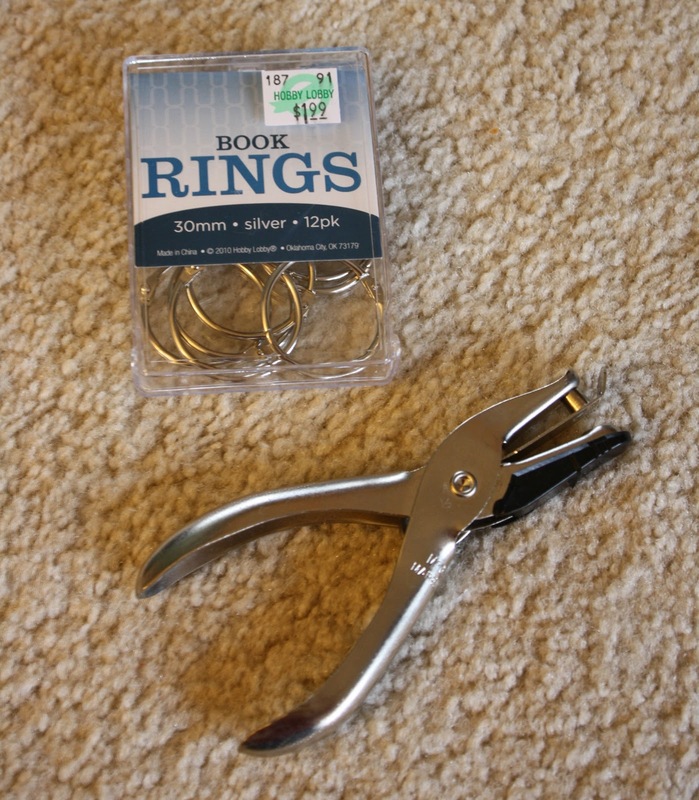 All you need is a package of book rings and hole punch. You can use a three ring hole punch if you have one on hand. cards and seeing how people have changed over the years. 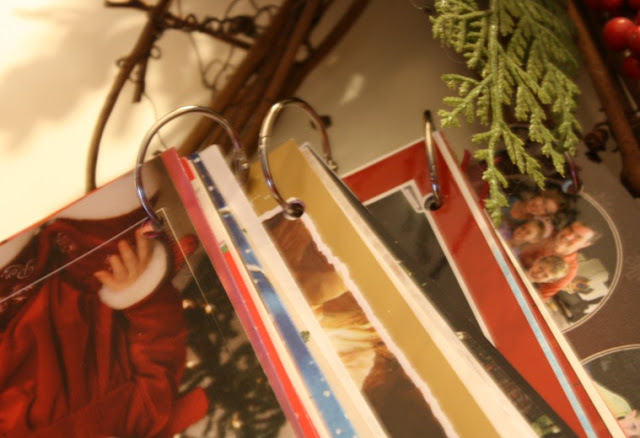 Aren't they the perfect coffee table books?